Short getaways can replenish your batteries and renew your energy much better than longer holidays, so choosing the right place with care is important. 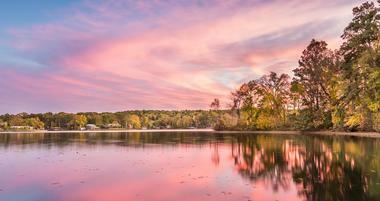 Visit Old Saybrook, Norfolk, Mystic, Glastonbury, Greenwich and other beautiful destinations in Connecticut. 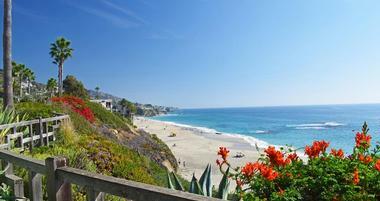 Whether you are looking for a luxury hotel or an affordable cottage hideaway, there are many great choices in Southern California. 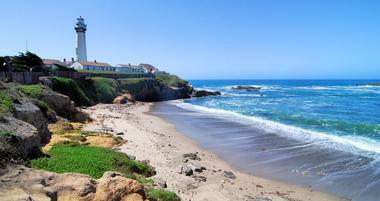 Relax with a view in Big Sur, enjoy wine tasting in Napa Valley and explore the Monterey Peninsula on your weekend trip. Plan a romantic weekend getaway to one of these unique hotels, romantic inns and cozy B&Bs in Arkansas. Top Arizona vacation ideas include spa resorts, golf courses, great activities and romantic hideaways. 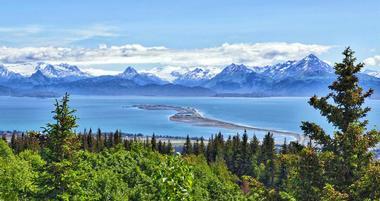 Check into a country inn, cozy bed and breakfast, or a stylish Alaskan hotel surrounded by stunning mountain views. 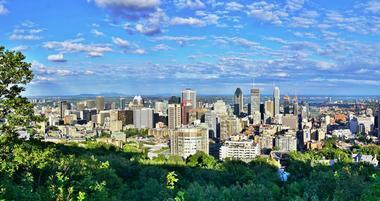 Montreal is a great weekend getaway for couples who like history, art and delicious cuisine. 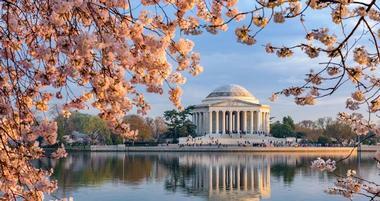 Plan a romantic trip to Washington, D.C. where you will find stunning gardens, great museums and historic attractions. Love is in the air, and when it comes to romance, there are plenty of beautiful hotels ranging from the opulent to the eclectic from which to choose for a quiet weekend escape. Whether you are planning a quick romantic weekend getaway to a nearby inn, anniversary getaways, or going on a longer vacation at a beach resort, don’t finalize your plans without reading our travel guide which includes money saving tips, ideas and photos. Here are some of the top things to keep in mind when planning your trip and choosing from the best vacation spots for couples. 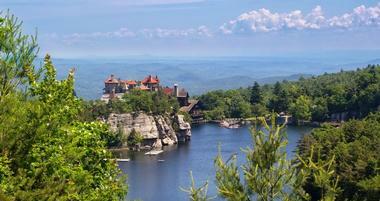 Show more unique weekend getaways for couples: in PA, in Ohio, in Florida, in Texas, in Georgia and more. How do I get a romantic getaway deal near me? Room, suite and airline ticket prices are consistently lower during off-season and shoulder season which is the best time to look for affordable romantic weekend getaways. Each destination has its peak times and down times, but generally the best time to go on a major vacation is in September, early November, the first two weeks in January, and April. Resort prices are lower mid-week, while city hotel rooms and airfare are the highest then because of business travelers. If you are driving, pick a great resort nearby and check in Sunday through Thursday to get the cheapest rate as well as additional amenities such as free massages and complimentary breakfast. More couples getaway ideas: anniversary getaways. Where should I Go? This is the most important question when researching vacations for couples and the answer has to take into account your budget, length of vacation, your interests and time of travel. If money is no object, you can fly to a secluded private island in Fiji, but if you are looking for something affordable, you should drive or take a quick flight to a destination with inexpensive accommodation options like Florida or Southern California. To make sure that you are planning the ideal trip for you, consider your likes and dislikes – is having access to many restaurants and cafes more important than resort activities like sailing and scuba diving? Consider both of your interests. If your better half wants to get in a few rounds of golf and you want to relax at the spa, find a package that will let both of you get what you want. Find romantic places to visit in the U.S., Europe and Canada. Look for all inclusive packages: Certain resorts are well known for offering some of the best all inclusive packages where all your meals, activities and accommodations are taken care of. Often airfare can be added as well. Many couples on their romantic vacation don’t want to worry about tipping and the cost of activities adding up to an amount that breaks the budget. If that’s the case with you, look for all inclusive specials at resorts in the Caribbean, Hawaii, Florida, Europe, Thailand, Bali and other romantic destinations. If you are looking for spa weekend getaways, it's a good idea to check for all-inclusive offers. Can I go on a romantic cruise? Absolutely! Cruises cater to couples celebrating their wedding anniversary, proposal or another special occasion. You can even get married on a cruise. Couples who love cruises are attracted to this type of vacation because they can see many destinations in a short span of time while having access to an array of facilities, activities and tours. There are so many different cruise options that you can go on a quick weekend sail to the Caribbean or a longer journey to Mediterranean, Panama Canal or Asia. What Type of a Romantic Vacation are You Looking for? Romantic vacations can be as elaborate or a simple as you want. While not everyone may like rose petals sprinkled on their bed, nearly everyone enjoys amenities like champagne, chocolate and freshly cut flowers in their room or suite. Anniversary vacation ideas: If you are dreaming of a celebration which involves several generations traveling together, your trip will need a bit of planning so that you can pick a destination which will please most participants. Beach resorts tend to be a favorite with nearly everyone. If it's just you and your spouse, pick a spot that offers something for each of you, such as spa and golf facilities, fitness classes and tours. Mention that you are celebrating your anniversary and hotel staff will go an extra length to make your stay memorable. Couples may decide to return to the resort where they celebrated their honeymoon years before. In this case, the staff will be especially accommodating. It is said that the way a man proposes says a lot about his character. Most women will appreciate a well thought-out proposal in a romantic restaurant, on a secluded beach or high above the city. Some of the top hotels like Cap Maison in St. Lucia offer a proposal concierge who can suggest and book amazing proposal locations such as a hot air balloon ride, secluded sandbank dinner or a mountaintop proposal. Be sure to call well ahead of time so that all the arrangements can be taken care of. If the idea of a big wedding has you running scared, there are many ways to get married while enjoying a romantic vacation as well. Most remote island resorts offer packages that include an intimate ceremony, followed by a custom honeymoon filled with dinners under the stars, unforgettable strolls along the beach and a great choice of activities. Of course, you don't have to travel all the way to Europe, Tahiti or Fiji to elope. Look for packages at nearby inns, resorts and city hotels. There are many amazing romantic weekend getaways in the North West, on the East Coast, the South, Southwest, Texas, California and other U.S. destinations. Anniversary Getaways - Vow Renewals: Renewing your wedding vows is a wonderful way to celebrate your time as a couple. We see more and more complimentary vow renewal ceremonies in magical places like Maui, Hawaii and French Polynesia. If you don's see vow renewal packages mentioned on your chosen resort's web site, call the concierge who will give you the available options either on property or nearby. If you are dreaming of a celebration which involves several generations traveling together, your trip will need a bit of planning so that you can pick a destination which will please most participants. Beach resorts tend to be a favorite with nearly everyone. If it's just you and your spouse, pick a spot that offers something for each of you, such as spa and golf facilities, fitness classes and tours. Mention that you are celebrating your anniversary and hotel staff will go an extra length to make your stay memorable. Couples may decide to return to the resort where they celebrated their honeymoon years before. In this case, the staff will be especially accommodating. Romantic Honeymoon: Honeymoon is a very special time for the new couple to get away to an amazing new destination. 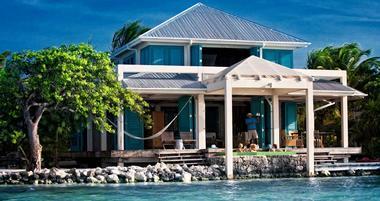 Click here to visit the section on our web site dedicated to honeymoons. Romantic Beach Getaways: A romantic trip to the beach is one of the best ways to relax, get a little tan and re-connect with your loved one. 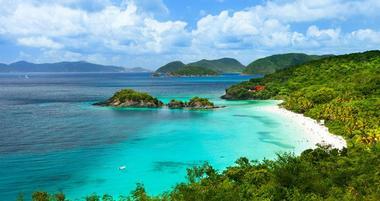 Depending on where you live, there are many amazing beach destination within a short flight or drive away. 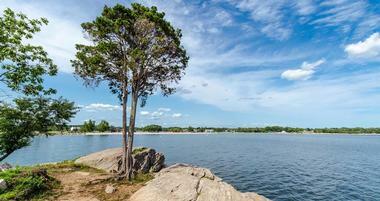 In the summer, don’t discount lake beaches which offer many activities such as kayaking, swimming and fishing. From New York, Boston, Philadelphia and other East Coast cities, get away to Cape Cod, Martha’s Vineyard, Nantucket, Maine, New Hampshire, New Jersey, Upstate New York and Rhode Island. From LA, San Francisco, San Diego, Sacramento and other West Coast cities, get away to the coast of California where you can explore charming towns, beaches and forests. Anniversary Getaways - Cheap Ideas for Couples: Is it possible to take a cheap romantic vacation? Absolutely! There are many amazing places such as national park cabins, campgrounds, cozy B&Bs and inns where you can stay for under $100 per night. Save some money for a day pass to a plush resort spa, a tasty dinner and tickets to an outdoor theater performance. For more romantic weekend getaway ideas, check vacation rentals which can be quite affordable also and let you prepare your own meals to save money. Romantic Weekend Ideas: Many couples end up taking romantic weekend getaways together rather than longer vacations since it’s often difficult to get away from work and family obligations for a whole week or longer. Hotels and resorts offer many weekend packages that include accommodations in a romantic suite, candlelight dinner, rose petal turndown, couples’ massages and other amenities to make you feel pampered from head to toe. If you don’t see a romantic vacation package on the web site of a particular hotel, call their reservations and ask what is available. More often than not, you will be able to add on special romantic amenities and customize your stay to make it a memorable one. Visit our weekend getaway guide for more couples vacation ideas. When couples think of romance, often specific images of places pop up in their head. For you, that may be palm trees on a white-sand beach, or drinks with a view of the sun setting in the Pacific Ocean. 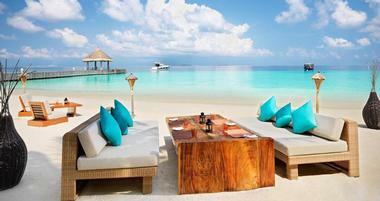 Here are some of the top romantic vacation resorts and vacation destinations for couples around the world. Bahamas: Although Paradise Island is the most famous for its activities and scenic location, there are many other romantic spots to choose from. There are hundreds of islands in the Bahamas, some of which have been turned into amazing private island hideaways, perfect for couples on their honeymoon or romantic getaway. Kamalame Cay offers all-inclusive pricing and just 11 guest accommodations which means that you will have the island almost entirely to yourself. Mexico: Mexico is home to incredible beach resorts where you can book a luxury suite at a fraction of the cost compared to destinations in the U.S. If you are looking for cheap romantic getaways, Mexico provides great value, especially in the off season. There are resorts of all sizes, ranging from under 50 guest rooms to well over 500, letting you choose just the right setting for your romantic getaway. Some of the top five star romantic vacation resorts in Mexico include Esperanza on the Sea of Cortez, One & Only Palmilla in Baja California and Viceroy Riviera Maya. When you check into one of these places, you will get amazing oceanview accommodations, gourmet cuisine, luxurious spa treatments and access to a fabulous sandy beach. Always look for packages before you book, whether you are planning a last minute trip or booking well ahead of time. There are always specials to be found at luxury resorts in Mexico. Hawaii: The Hawaiian islands of Maui, Oahu, Big Island, Kauai, Molokai and Lanai offer some of the top romantic spots for couples who enjoy beaches, sun and palm trees. You can plan a romantic long weekend getaway to the islands from the West Coast, play a round of golf, get a Lomi Lomi massage, watch a hula show and return to the office refreshed and ready for new challenges on Monday morning. Resorts in Hawaii cater to romantic couples with packages and specials year-round. You can be as relaxed or as active as you wish: go hiking in a volcano, take a surfing lesson in Waikiki, bike down Haleakala, or simply relax in a lounge chair on the ocean’s edge from sunrise to sundown. Look for packages that include car rental, show tickets and couples’ massages. California: California is a paradise for couples, offering an array of resorts on the coast, in the wine country and mountain spots like Lake Tahoe. 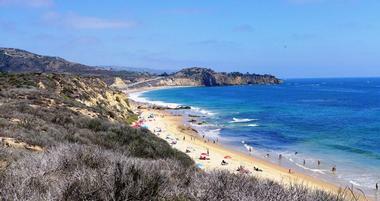 Browse our California weekend getaways page for hundreds of ideas, both active and relaxing. Carmel Valley is a hideaway for artists, celebrities and retired sports stars, offering a combination of wine tasting, dramatic views and luxurious spas. Napa Valley vineyards are world-famous, offering wine and cheese tasting, scenic biking and more amazing spas. Paris¸ France: Coming to Paris for the first time, you will quickly realize that nothing prepared you for the timeless beauty of this ancient city. Feel its history by strolling along the Seine River that has starred in so many movies, cross the bridge to the Île de la Cité, the true heart of Paris, and once there visit the awe-inspiring Notre Dame Cathedral. Continue walking through the city’s cobblestoned streets to the famous neighborhoods of Le Marais and Saint-Germain-des-Prés, have a cup of café au lait at one of the picturesque sidewalk cafes where you can watch elegant Parisians going about their daily lives. Of course you have to climb Eifel Tower, it is not only the symbol of Paris, but is truly majestic. 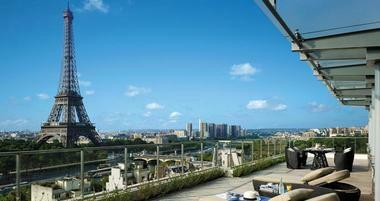 It will also give you a chance to see all of Paris, new and old. Go see Mona Lisa at the Louvre and the sculpture of the Thinker at the Rodin’s museum, a visit to Paris would not be complete without them. Find things to do. Georgia: Sea Island in Georgia offers miles of sandy beaches, tennis, boating, golf, fishing, a luxurious spa and other vacation ideas for couples. Stay at the Lodge at Sea Island and ask for one of the rooms with a view of the water. You can explore the island by bike, take romantic sunset walks on the beach, take a cooking class and try many other activities. Vancouver, Canada: To get a good feel for Vancouver, start the discovery of this exciting modern, multi-ethnic and multicultural city by taking the Aquabus to Granville Island, where you will see everything that makes Vancouver what it is. Packed with galleries, restaurants, shops, parks and beaches, you will be flush with things to do. While on the island, make sure to visit the market, with fresh produce grown in the area and fresh fish brought in by the local fishermen. Stay by the water and take a walk along the Seawall, a waterfront path that goes from the Vancouver Convention Centre to Spanish Banks Park, offering great views of the whole city. Climb the Vancouver Lookout Tower on top of the Harbour Centre building to see the whole city and the surrounding mountain. Visit The Museum of Anthropology to learn about the British Columbia First Nations and The Museum of Vancouver to learn about the city’s origins. Treat yourself with a bit of pampering at the Breathe Spa in the elegant historic Rogers Building. Find things to do. Arizona: Arizona is famous for its sparkling pools, golf courses and full-service spas where you can spend your holiday getting in shape, taking tours and relaxing by the pool. 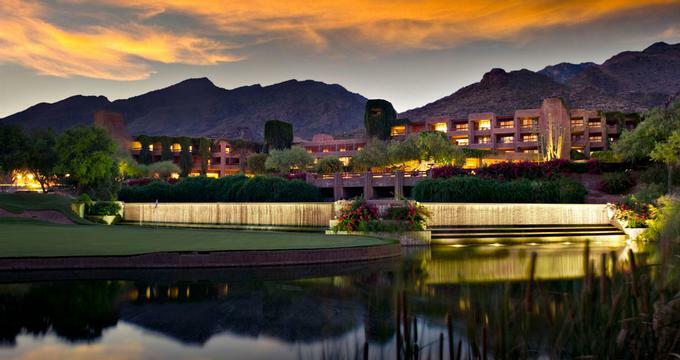 During the winter, get away to Phoenix or Scottsdale which offer warm weather and plenty of outdoor activities. 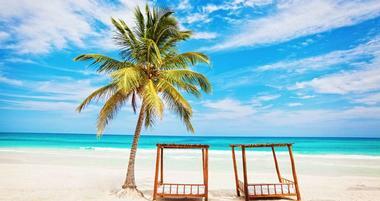 In the summer, the resorts offer excellent deals, but the weather is too hot and humid for outdoor activities. If you are going mostly for spa treatments and great dining, grab a deal and plan a luxury vacation for less in the summer. Aspen, CO: Passionate skiers will tell you that Aspen is in its full glory when the mountains are covered in snow and you can slide with your skis or snowboard between tall, stately aspens on the slopes of Ajax. Others will rhapsodize about the wild flower-covered valleys and endless vistas from the top of the Silver Queen Gondola. Whether you are taking a photo of the mesmerizing Maroon Bells peaks as they are reflected in the Maroon Lake or are hiking the Rio Grande Trail to the John Denver Sanctuary to read his lyrics written on the stones, Aspen will take your breath away any time of the year. You can see the other side of Aspen at the 1889 Wheeler Opera House or at the summer Aspen Music Festival and School. Find things to do. Portland, OR: Past and present, art and nature, beauty and industry are all seamlessly blended in Portland. You can follow the history of the city in the magnificent colonial Pittock Mansion, where you can see the growth of Portland through the story of one prominent family. Portland Art Museum, established in 1892, is one of the country’s oldest art museums and its collection of 42,000 objects spans the history of humanity from the antiquity to today. Portland Japanese Gardens, a testament to the city’s close link to Japan, will take your breath away with its timeless, peaceful beauty. Visit historic Arlene Schnitzer Concert Hall, located in Portland’s Cultural District, to catch a performance of the Oregon Symphony. If you feel like you are running out of time, trust Architectural Heritage Center Tours or Pedal Bike Tours to show you as much of Portland as possible in a short time, from the insiders’ perspective. Find things to do.